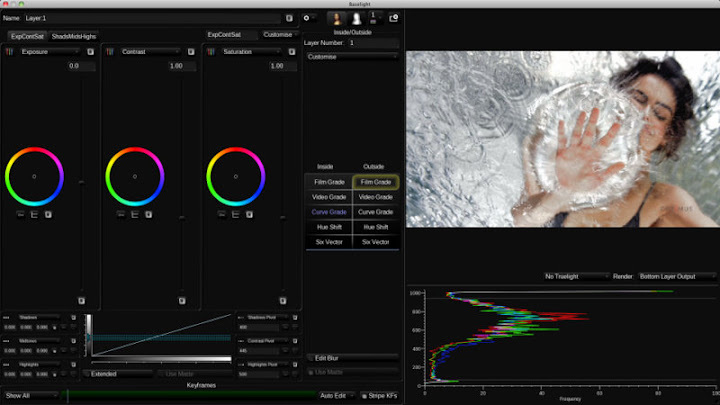 LONDON—FilmLight today announces the release of Baselight for Apple Final Cut Pro 7. This brings the power and accuracy of the world’s best colour grading system right into the heart of an edit suite. Designed for editorial houses, post-production facilities, independent filmmakers and other media producers, Baselight for Final Cut Pro allows users to create and apply colour grades to their projects using the same, sophisticated tools found in a full Baselight system—including multi-layered grades—with no restrictions on resolution and complexity. FilmLight’s industry-leading Truelight colour management system is also included, providing accurate, what-you-see-is-what-you-get previews of final materials. 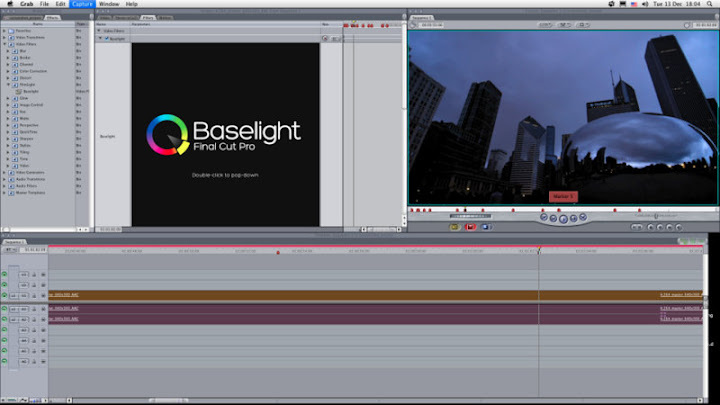 FilmLight will be demonstrating Baselight for Final Cut Pro at NAB, Booth SL2420. Colour grading data generated by Baselight for Final Cut Pro can be exchanged seamlessly with full Baselight systems, providing a powerful, collaborative workflow for editorial operations and post facilities. Media can be pre-graded in the FCP application and exported to Baselight for final adjustments. The project can then be rendered by Baselight or re-exported to Final Cut Pro, or other editorial platforms, for completion. Additionally, the low cost of Baselight for Final Cut Pro makes it practical to add sophisticated colour grading functionality to multiple editorial workstations for increased productivity and creative flexibility. For independent filmmakers, Baselight for Final Cut Pro provides a cost-effective means of achieving a professional quality grade. Complete, polished grades can be created, applied and rendered all from within Final Cut Pro. Priced at $995 and available to evaluate and buy from the FilmLight website, Baselight for Final Cut Pro is the first release in FilmLight’s new Baselight Editions line of colour grading solutions. Although Final Cut Pro X was introduced last summer, FCP7 is still the preferred choice of the professional editing community for which this product is intended. The company is currently developing similar products for other software packages, including popular compositing and visual effects solutions. multiple layers of keyframed colour grading in the FCP timeline. export/import grades via FCP XML to/from full Baselight systems. extensive methods to subtly adjust colour: from lift-gamma-gain controls, film-style grading (with adjustable 'S' curve regions), through to full RGB and HSL curve-based grading. secondary grading & garbage-matting via built-in soft-edged Bezier shapes, luma and chroma keys or a combination. apply multiple layers within a single instance of the plug-in. (Each layer can be a primary or secondary grade). secondary grades are inside/outside layers allowing different colour and effects to be applied to either side of the layer. built-in filters (blur, sharpen, soften etc.) can also be applied through layer isolation.